Italy’s financial markets and services regulator CONSOB (Commissione Nazionale per le Società e la Borsa) has warned that the forex broker FXG Invest has been offering its investment services and activities to the Italian public without being regulated in the country. 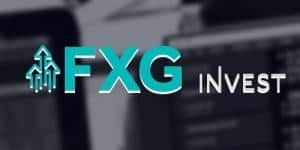 FXG Invest operates through the website www.fxginvest.com and offers a variety of currency pairs and CFDs on commodities, indices, stocks and crypto currency. According to the website the company is owned by Grand Services LTD., registered in the Marshall Island and operated by Nordic Pearl Limited, registered in Bulgaria. The offshore zones such as Marshall Islands, Vanuatu or Seychelles cannot be considered as safest for the clients’ funds and the authorities there do not guarantee the protection of accounts. Also, despite the claims of the registration in Bulgaria, the broker is not licensed there. According to the regulator’s official warning, both companies and the brand name were banned: “for the provision of unauthorised investment services and activities to the Italian public performed by Nordic Pearl Ltd and Grand Services Ltd via the www.fxginvest.com website”. Obviously, FXG Invest is not a reliable and serious company. To add more confusion, the contact number on the website has a Swiss phone code, however, the address is Bulgarian.